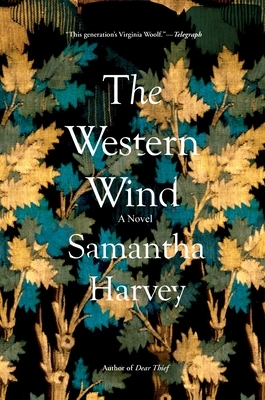 The Western Wind (Hardcover) | Eagle Harbor Book Co.
An extraordinary new novel by Samantha Harvey--whose books have been nominated for the Man Booker Prize, the Women's Prize for Fiction (formerly the Orange Prize), and the Guardian First Book Award--The Western Wind is a riveting story of faith, guilt, and the freedom of confession. SAMANTHA HARVEY is the author of three novels, Dear Thief, All Is Song, and The Wilderness, which won the Betty Trask Prize. Her books have been shortlisted for the Orange Prize for Fiction, the Guardian First Book Award, and the James Tait Black Prize, as well as longlisted for the Man Booker Prize and the Baileys Women's Prize. She lives in Bath, UK, and teaches creative writing at Bath Spa University.